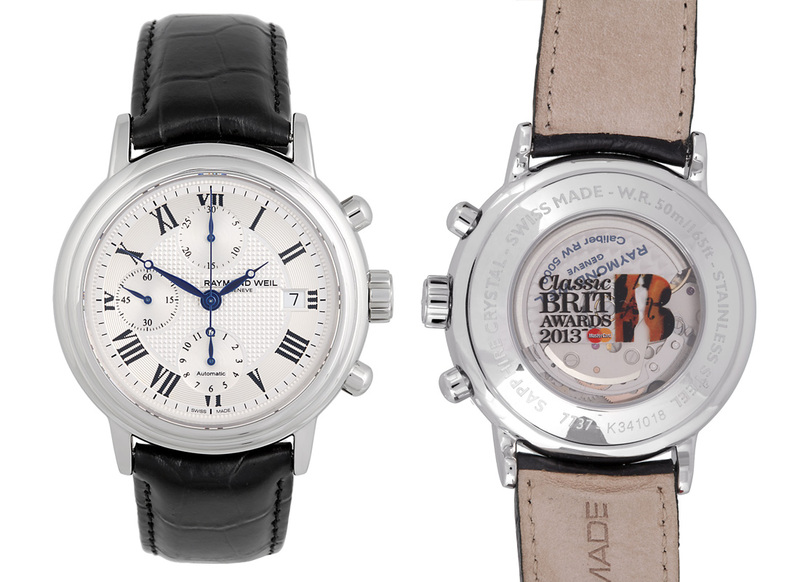 The gent’s Classic BRIT Awards 2013 special edition is a maestro 7737-STC-00659 and features a 41.5mm stainless steel case, automatic chronograph movement with 46-hour power reserve. 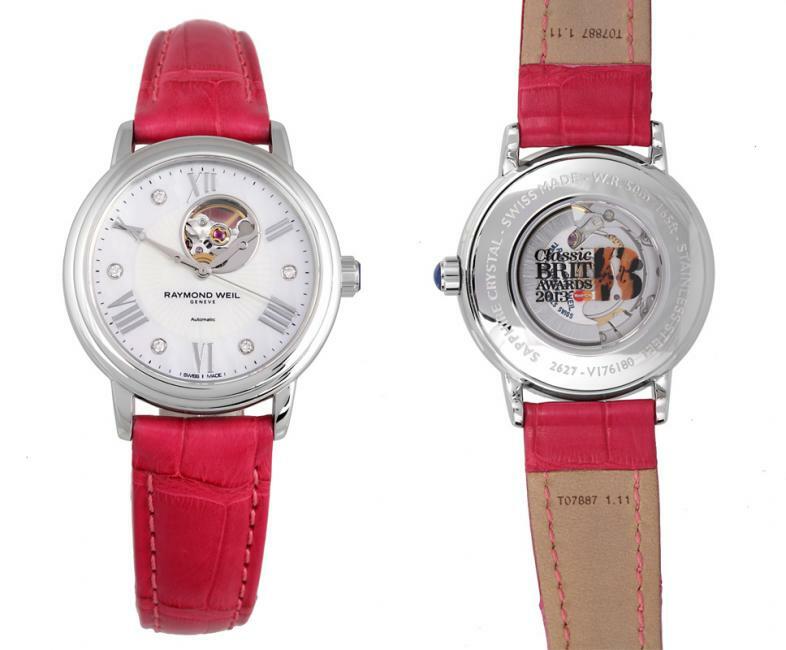 The ladies’ limited edition Classic BRIT Awards 2013 timepiece is a maestro 2637-SLS-0965 and features an elegant 30mm stainless steel case that shelters a precious mother of pearl dial, on which sparkling diamonds alternate with silver Roman numerals on the indexes. RAYMOND WEIL, the luxury Swiss watchmaker, celebrated its third year as the Official Watch & Timing Partner to the Classic BRIT Awards 2013, that each year honors the very best of talent within the classical music scene, who all came together at The Royal Albert Hall last night. To mark its continued support of the UK’s most influential music awards ceremony, RAYMOND WEIL created two unique limited edition timepieces that were presented to all key performers, presenters and key guests backstage at the event. Receivers of the RAYMOND WEIL limited edition Classic BRIT Awards maestro timepieces included; Hans Zimmer, Sir Michael Caine, Jodie Whittaker, Samantha Barks, Selina Scott, Jack Topping, Jane Asher, Amy Dickson, Cherie Lunghi, Gareth Malone, Aled Jones, Christopher Warren Green, Nicola Benedetti, Martynas, Alfie Boe, and Jonathan Ross. 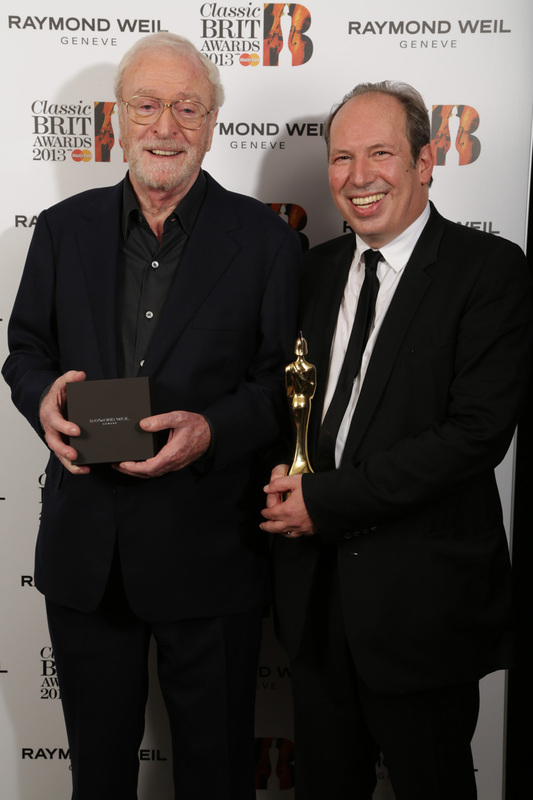 The Outstanding Contribution to Music Award in association with RAYMOND WEIL was awarded by Sir Michael Caine to Hans Zimmer for his scores including The Dark Knight Rises and Man of Steel. The German was also presented with the Composer of the Year Award and took to the piano, accompanied by the London Chamber Orchestra, for a medley of his themes. Now in its 14th year, the Classic BRIT Awards has played a major role in supporting and nurturing all types of musical talent and styles within the classical world. The event was established in 2000 to honor and recognize all forms of classical music from contemporary to crossover, opera to soundtracks, traditional to theatre. The gent’s Classic BRIT Awards 2013 special edition is a maestro 7737-STC-00659 and features a 41.5mm stainless steel case, automatic chronograph movement with 46-hour power reserve, an elegant silver dial with blue hands and black indexes on a black calf leather strap, selected to reflect the timepiece’s stylish minimalism. The ladies’ limited edition Classic BRIT Awards 2013 timepiece is a maestro 2637-SLS-0965 and features an elegant 30mm stainless steel case that shelters a precious mother of pearl dial, on which sparkling diamonds alternate with silver Roman numerals on the indexes. The leather strap adds a splash of classicism. The final touch is a sophisticated automatic movement that is showcased by a visible balance wheel on the dial at 12 o’clock. 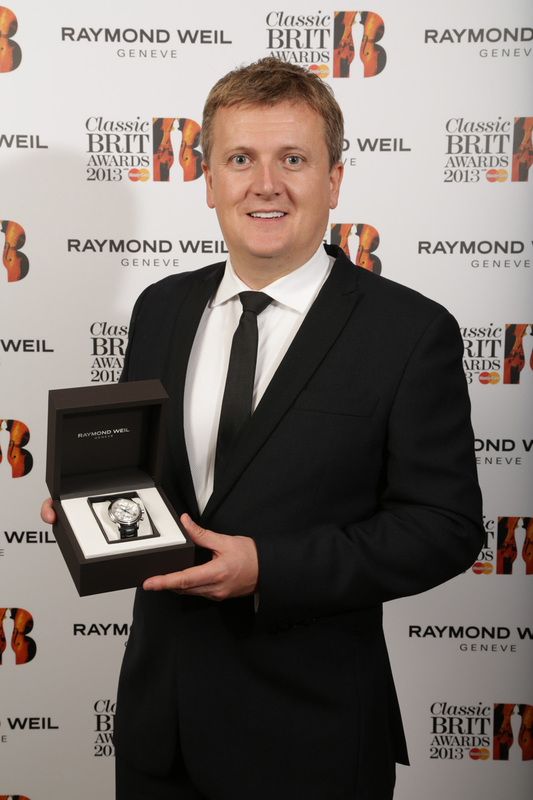 Each of the Classic BRIT Awards special editions features a unique exhibition case back made of sapphire crystal that is adorned with this year’s Classic BRIT Awards 2013 with MasterCard logo.